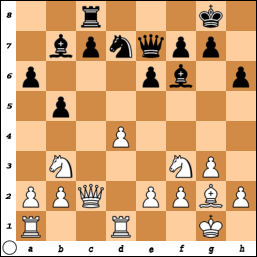 The Benkö (Volga) Gambit is a rare guest at grandmaster level. But on club level it is a populair opening. 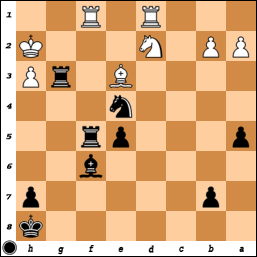 Black gets a lot of pressure for his pawn and his position almost plays itself whereas white has to be constant on his guard. 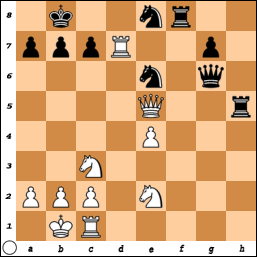 The problem for white is that it is difficult to develop his pieces in a harmonious way. These are the reasons why this gambit is so popular among club players. On grandmaster level this opening is a less frequent guest because it’s not considered to be completely sound. Grandmasters mainly use the Benkö as a surprise weapon. 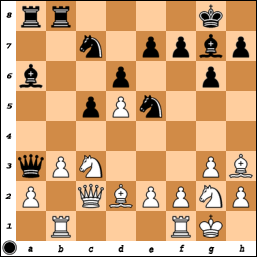 Grandmaster Vladimir Baklan won games with this gambit against Artur Yusupov, Sergey Volkov and Viktor Korchnoi! Chess can be a very complicated game. This is no news. And sometimes we over complicate things without knowing it. We get distracted and don’t see what’s the leading motif in a position. See the diagram. It is black’s turn. The position is quite messy. There are a lot of possibilities. Do you see the correct solution? 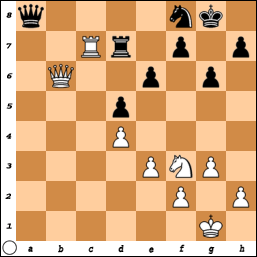 I found this problem on Chess Tempo (number 738). 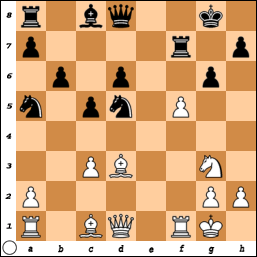 It’s from a game between Franz Jittenmeier and Ludger Grewe (2234) played in 1998. 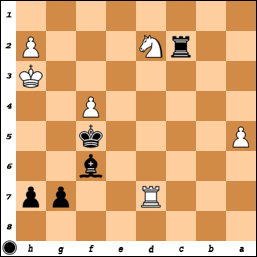 Black found the correct solution and won. Does it ever happen to you? You study a position. It seems quite simple. But for some kind of silly reason you can’t find the correct sequence of moves. It happened to me. See the diagram. It took me quite some time. I tried everything. At least so I thought. 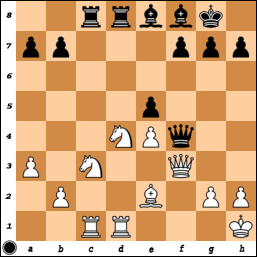 But couldn’t come up with a convincing solution because I missed a move in one variation. So in the end I failed. For sure you can do better than me! White to play and win.